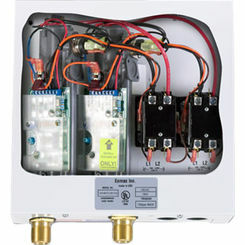 Tankless water heaters, also known as on-demand water heaters are a great solution for many homeowners. 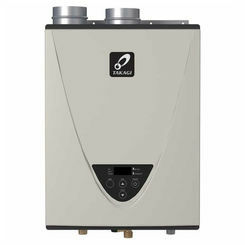 All water heaters are not created equal. 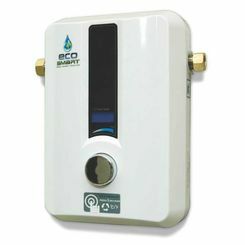 Tankless is a great way to save energy. For the average home, they save 10-25% on water heating costs. 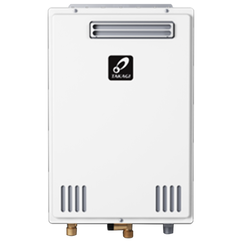 This is done by eliminating the standby losses incurred by traditional storage water heaters. When you eliminate the storage tank, you eliminate the need to constantly heat a large volume of water. 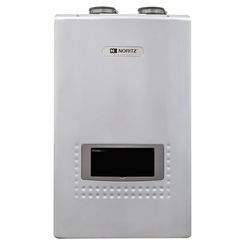 For most users a tankless hot water heater will allow them to save money because they use far less energy to maintain. Take advantage of our discount water heater parts. With tankless water heaters the water is actually heated directly without the use of a storage tank. 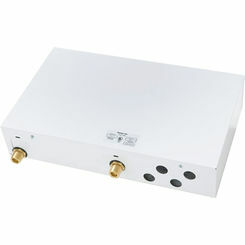 Either a gas burner or an electric element heats cold water that passes through the pipe in the unit. This is what makes it an on-demand hot water heater. 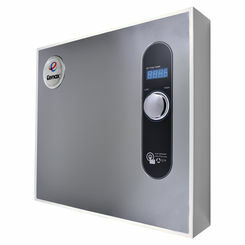 Inevitably you have had the experience where a standard unit could not keep up with the usage and you had to endure a cold shower. With a tankless hot water heater this is never a concern. Hot water when you want it, on demand. 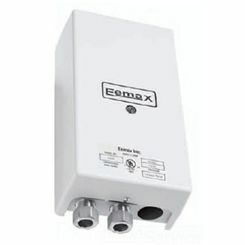 The Eemax, Bradford White, TAKAGI, and Bosch tankless water heaters here are smaller than the alternative and can be located in a variety of rooms throughout the house. 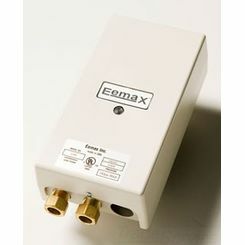 Most units are found in a central location to conveniently provide hot water to the whole house. Others place them under a sink or in a special cabinet. 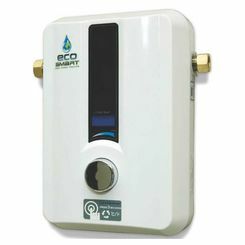 Their convenient size makes them great for fulfilling various needs like supplementing an existing water heater, hot water for remote locations like a cabin, or maybe a detached guest house. 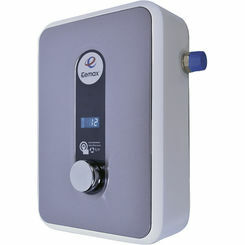 On demand water heaters have an average life expectancy of 20 years. It may come as a surprise that tankless heaters outlast the alternative, but what is really shocking is that they outlive them by 5-10 years. This is a result of the fact that the storage tanks are holding water constantly and over the years they become subject to corrosion and leaks.  Here at PlumbersStock we offer affordable units that run off either natural gas or liquid propane. There is a drawback that you must consider. 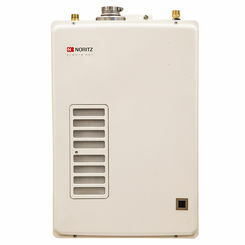 Tankless water heaters only provide hot water at a flow rate of 2-5 gallons per minute depending on the model. What that means is that they have some difficulty providing hot water for multiple, simultaneous uses. There are several ways to get around that issue. 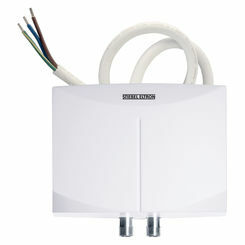 The main one is to use low flow products to ensure that all faucets and showers can share the specified flow rate. 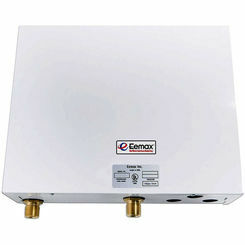 The other way to get around that is to purchase multiple tankless water heaters, a very good idea for larger households. Some suggested uses for multiple separate tanks are for the various appliances that require a lot of hot water in your home. So many choose PlumbersStock for various reasons, but time and time again it really boils down to three factors: low prices, great service, and professional expertise. 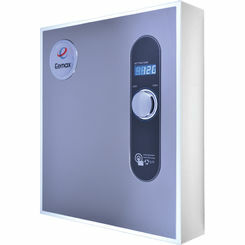 Buying a tankless water heater is a big expense and you need to know you are making the right purchasing decision. That is where our knowledgeable staff comes in. 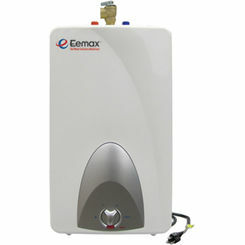 Contact us and we will answer your questions and help you find the best on demand hot water heater for your home.